Advance Registration Required. Please note Tuesday, May 21 is FULL. 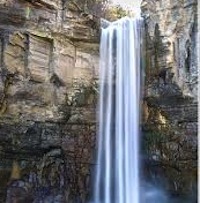 Explore the breath taking waterfalls and gorges of the Ithaca area with a naturalist from Beaver Lake. Bring a lunch, water bottle, sunscreen, and a camera. Be ready for a beautiful day climbing challenging trails for stunning views of these famous falls. Choose Tuesday OR Wednesday.